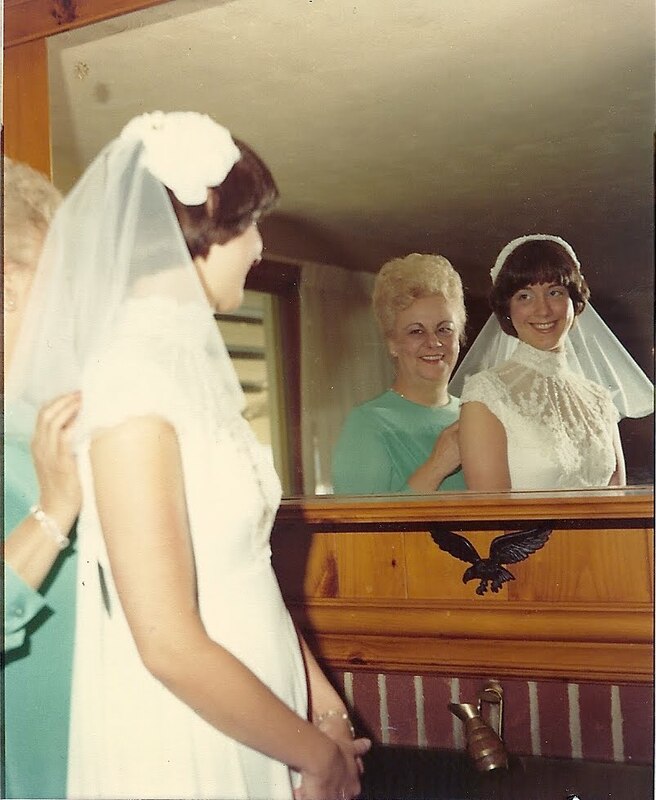 In honor of Mother’s Day, I thought I’d introduce you to the Mother of the Bride, Susan! 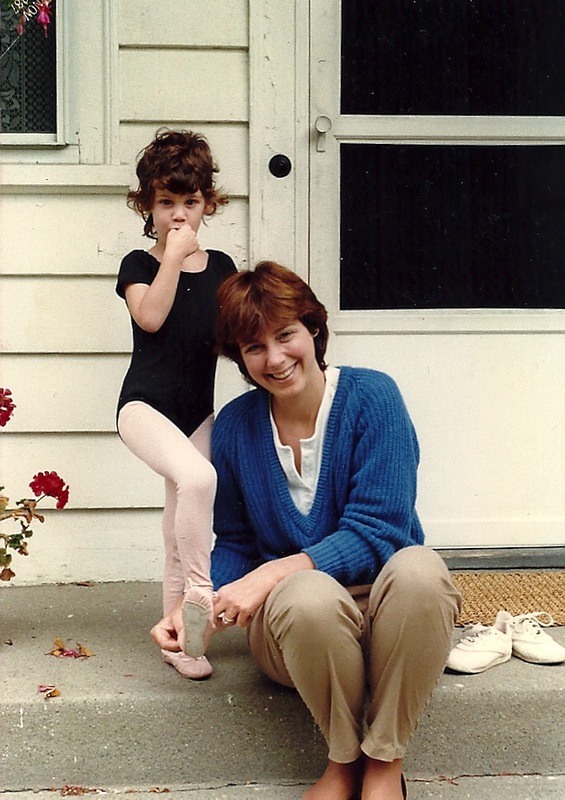 Here's the exclusive interview and a few never-seen-before family photos. Tell us about yourself! What do you do for a living? I have been married to Jay for 31 years, and I have two children. I am the computer teacher in an elementary school, and at night I teach family literacy to parents of children at the school. What're your favorite things to do when you’re not working (other than help plan my wedding?) Of course planning your wedding is my favorite thing, but when I am not doing that… I love to read, knit socks and cheer on all Boston sports teams. Tell us about your husband, the father of the bride? Well, Jay and I have been married for 31 years. He is a high school English teacher at the high school where he went. I’m sure he’ll be featured in a Father’s Day entry. Any pets? Our cat is named Junior and our turtle is named Crash. They have been part of our family for a long time. Who’s your favorite to win American Idol this year? Surprisingly it’s not Casey. He does remind me of Constantine, but I am going with Lee Dewyze this season. And how do you feel about Lost ending? I am glad it’s coming to an end. I need answers!! I am a lot sadder that 24 is ending. Jack Bauer is much more entertaining than Dr. Jack Shepherd. Ok, I think we know you pretty well. Let’s talk about your wedding! When did you tie the knot? Your father and I got married on July 7, 1979. While you were planning, did you ever get stressed out over the details? I get stressed about everything, but I don’t think I was very nervous about my wedding. How did you de-stress? Whenever I get stressed, I take a bath. What was husband-to-be Jay’s role in the wedding planning? He made lots of lists, paid attention to honeymoon details, and got things organized for when we returned from our trip. What was the most memorable part of your wedding? After the wedding reception, which was held at the White Cliffs in Northboro, MA, we were driving to the after party at my parent’s house. On route we past a bar called the Bronx Lounge and decided to stop in for a drink with the priest and our wedding party. Coincidentally there was a wedding—literally breaking up—just when we arrived. The bride and a bridesmaid were having a fist fight in the parking lot. Tell us about your dress? Did you ever think, “I hope my future daughter wears this?” My dress was from the House of Bianchi. It had a high collar with alencon lace and seed pearls. It also had a watteau train. My mother was married in her army uniform. I would have wanted to wear her dress if there had been one. But I knew my future daughter would have wanted her own. How much of a say did you have in your groom’s attire? He wore a three piece suit, and I think I went with him when he picked it out. I didn’t have final approval of his outfit though because he wore the belt that he wore with his jeans! It’s in all the wedding pictures. What traditions did you incorporate into your wedding and which did you nix? We did most of the standard things: we cut the cake (but didn’t feed it to each other); we danced with our parents; and my father walked me down the aisle. But I didn’t throw the bouquet. Enough about you, let’s talk about me! They say that you only get to plan one dream wedding—your daughter’s. Do you think this statement is true or false? FALSE! When did you start thinking about my wedding day? The day Keith asked your father if he could marry you. Oh, I forgot—I have been carrying around a wedding folder for at least 10 years—complete with bridesmaid dresses, sample invitations and your wedding gown. What are you most looking forward to about my wedding? Seeing you walk down the aisle and then watching Keith’s expression when he sees you. What’s your best advice for me when it comes to planning? Relax and don’t get hung up on all the little details! Have fun because it will be over in a flash! What wedding reality show would you say I’m most likely to be featured on? Bridezillas, Say Yes to the Dress, My Big Redneck Wedding or Platinum Weddings?Say Yes to the Dress—of course. If I could have any band play at the wedding who would you like to see? Easy one! Bruce Springsteen and the E Street Band and Billy Joel will be there to play during cocktails. What’s your best advice for building a registry? Register for whatever you want that you think you really will need and use. Leave the everyday stuff off the list, and include some gifts that you can look at when you’ve been married 30 years and remember who gave it to you. Do you think I should get a pasta attachment for the Kitchenaid mixer? Well, after I talked to my nephew the chef, I’d say no! Use the Kitchenaid to make margerita cupcakes, and get a pasta maker to make pasta. How many of your friends are jealous that you’re being featured on this blog? Probably one. Guess who?? One last thing, Thanks for making my mother’s day so special. Thank you for letting us meet your Mom! She seems like an amazing woman! And yes, the apple doesn't fall far from the tree. DON'T STRESS! I love your mother! More kleenex, please!